The information appearing on Safed.co.il is presented for educational purposes only. While the information published on this site is believed to be accurate, it is not intended to substitute for professional advice. Statements and opinions expressed in our forum, articles and elsewhere on this site are not necessarily those of Safed.co.il and should not be considered facts. 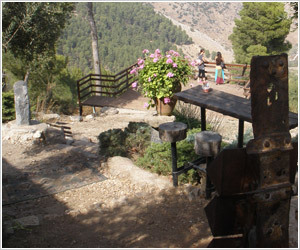 Safed.co.il offers this site and the information contained herein without any warranty of any kind, express or implied, and is not liable for its accuracy, for mistakes, errors, or omissions of any kind, nor for any loss or damage caused by a user's reliance on information obtained from the site. Safed.co.il and its parents, subsidiaries, affiliates, partners, employees and independent contractors make no representations regarding the information and materials provided on this web site. All information, software, products, services and links to other web sites are provided "as is" without warranty of any kind, including implied warranties of merchantability and fitness for a particular purpose. In no event shall Safed.co.il be liable for any direct, indirect, punitive, incidental, special or consequential damages arising out of or connected in any way with the use of, or inability to use, any material on this web site even if Safed.co.il publishing has been advised of the possibility of such damages. The articles on this site are meant to provide information of a general nature regarding the city of Safed, its people, its history, its places of importance and its cultural events. Safed.co.il cannot always guarantee the accuracy or completeness of any information contained in these articles. Neither is Safed.co.il responsible for any errors or omissions or for the results obtained from the use of such information, nor shall it be liable or responsible to any person or entity for any loss or damage caused, or alleged to have been caused, directly or indirectly by the information or ideas referenced or suggested on this site. Safed.co.il has the right to publish, edit or reject any and all submissions via this site, including your name and e-mail address as provided by you, online and in our print publications. Safed.co.il offers these bulletin boards and the information contained herein without warranty, express or implied, and accepts no responsibility for the accuracy of the material presented herein or any errors or omissions. We expect our guests to abide by common standards of decency, and no commercial advertisements are allowed without express permission of Safed.co.il. By communicating through the forums, uploading files or data onto the site, or otherwise providing information on or through the site (each, a "submission"), you are granting Safed.co.il a royalty-free, perpetual, non-exclusive, worldwide license to: use, copy, adapt, transmit, publicly perform, display or distribute the submission, without limitation.